We are back to Premier League action this weekend after cup duty ended on Wednesday night with a 0-0 snoozefest between Chelsea and Arsenal in west London. Phillipe Coutinho's transfer to Barcelona will have upset many Fantasy managers as he would have been one of the players many were hoping to build a successful squad around. But transfers are part and parcel of modern day football and how managers react to the hole left by the brilliant Brazilian will have a huge outcome on their team's season. 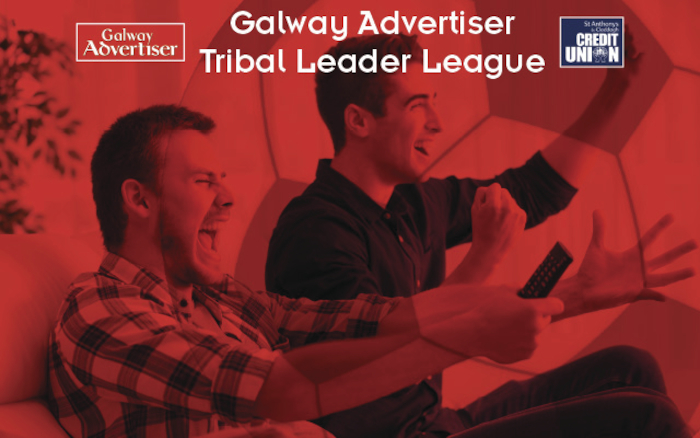 So who are the top tips for round 23 of the Galway Advertiser Tribal Leader League in association with St Anthony's and Claddagh Credit Union? With six goals in his last seven Premier League outings plus the goal which broke Derby County's resistance in the FA Cup on Friday night, Jesse Lingard is the main man at Old Trafford at the moment. The Red Devils had a poor Christmas programme as they managed only one win in four matches. Jose Mourinho's men drew the other three games but if it was not for the England international, United would have ended up with defeats. On Monday night, second placed United host struggling and managerless Stoke City. The Potters have the worst defensive record in the league conceding 47 times in 22 matches. This stat will not improve in Manchester on Monday night as I expect a big home win with Lingard finding the back of the net. Get him in your team. The stand out clash of the weekend is at Merseyside when unbeaten Man City travel to Anfield. Sergio Aguero has not been at his free scoring best this season but with three goals in his last four league appearances as well as a dramatic late winner in the first leg of the EFL Cup semi-final against Bristol City on Tuesday night, Diego Maradona's son-in-law seems to be hitting form for the Citizens, which is all the more important considering Gabriel Jesus is expected to be on the injury list for two months. I believe the Argentine hitman will be among the goals this Sunday in spite of the fact that Liverpool have signed the excellent Virgil Van Dijk to bolster the defence. As good as Van Dijk is, he is only one man and the rest of the Reds' backline is still pretty useless. This game should be a cracker with lots of goals and I believe Aguero will have his name on the score sheet. The Chelsea man is in good form at present for the Blues. However, strangely, his performances have not been rewarded with Fantasy points as his teammates fail to convert the chances he creates with Hazard himself only finding the back of the net once in Chelsea's last seven league matches. I have sneaky feeling that the Belgian is primed to explode into life and I think it will be against Leicester at Stamford Bridge on Saturday afternoon. Expect fireworks.